We Provide Transportation Assistance To Our Riders. From friendly service to experienced and trained drivers, BRITE brings value to travelers in the Shenandoah Valley. Our fixed routes and ADA Paratransit Service means you can depend on BRITE to get you where you need to be when you need to be there. When you ride with BRITE, you can expect experienced drivers trained in defensive driving to get you safely to your destination. We provide route assistance by speaking clearly and patiently with our passengers. 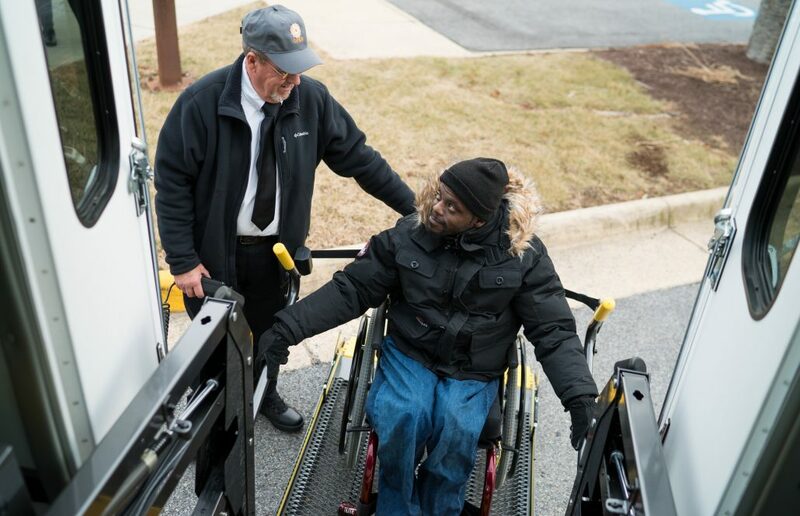 We help our passengers get on and off the bus and secure mobility devices. You will get to know your driver and the rest of the team at BRITE so you feel comfortable asking for help along the way. Clean buses and an experienced staff make riding with BRITE a valuable resource in your daily life. We value diversity in our community and are dedicated to providing the resources necessary for our passengers to succeed. We follow Title VI non-discrimination policies and implement programs to help all our riders get where they need to be. Our communication assistance program is a valuable resource in opening up our community so everyone can take advantage of what our area has to offer. To learn more, contact us and speak with our friendly customer support team. We’ll get you where you need to be. BRITE Offers Communication Assistance To All Our Riders. Our communication assistance program provides a much needed resource for our non-English speaking riders and persons with disabilities. Our website is easily translatable via Google and our community network gives you access to individuals proficient in Braille and American Sign Language. When you ride with BRITE, you are part of an inclusive community committed to building a better bus riding experience. Contact Us For Communication Assistance.